The Triple Creek Ranch winter getaway starts here. When you think of spending time at a guest ranch, do you imagine horse rides through fields of wildflowers, cooling your toes in a gurgling creek or telling stories under a star-filled night sky? 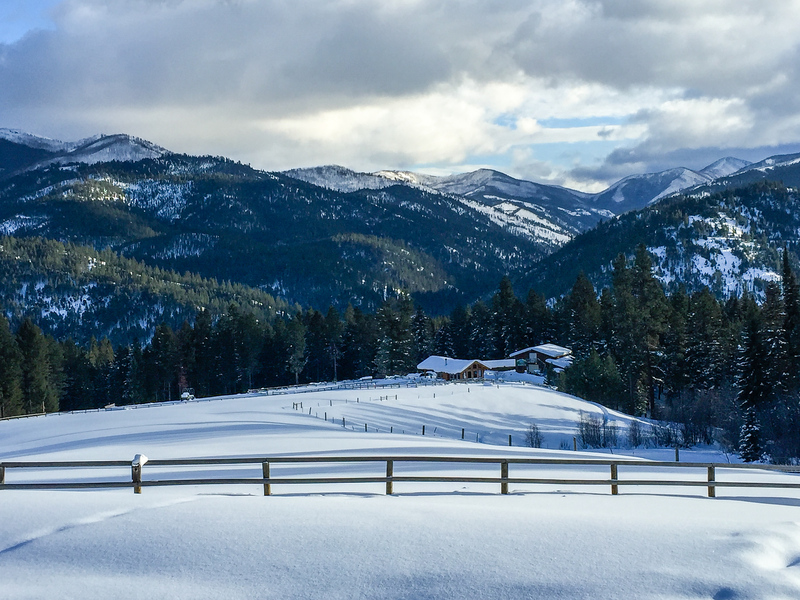 My guest ranch visions are white, all white, especially when it comes to a Triple Creek Ranch winter getaway in Darby, Montana. This way to Triple Creek Ranch check-in. Alan and I just spent New Year’s weekend in the luxurious surroundings at Triple Creek Ranch. Did you know that this Montana guest ranch, and Relais & Chateaux property, was named the world’s #1 luxury hotel in 2014 by readers of Travel + Leisure? This was our fourth Triple Creek Ranch winter visit. And all I can say is the readers of Travel + Leisure are right! What a luxuriously fun way to experience winter in Montana. Alan and I are lucky. Triple Creek Ranch is about a 50-mile drive south on Highway 93 through the Bitterroot Valley from our house. However, especially in the winter, most guests fly into the Missoula Airport. From there, they either arrange a pick up by Triple Creek (extra fee) or rent a car to drive to the ranch. For your visit, factor the arrival and departing times into your travel plans. Staying overnight at an airport hotel is a smart choice if you’re arriving in the late afternoon—it gets dark early during Montana winters. And if you’ve booked an early flight home, definitely stay at a hotel rather than driving to Missoula at 3 or 4 in the morning for a 6 a.m. flight. Unless you’re planning to explore the area, purchase the transfer from Triple Creek. Who wants to drive on a 2-hour journey (75 miles to Triple Creek) on unfamiliar roads in the snow? 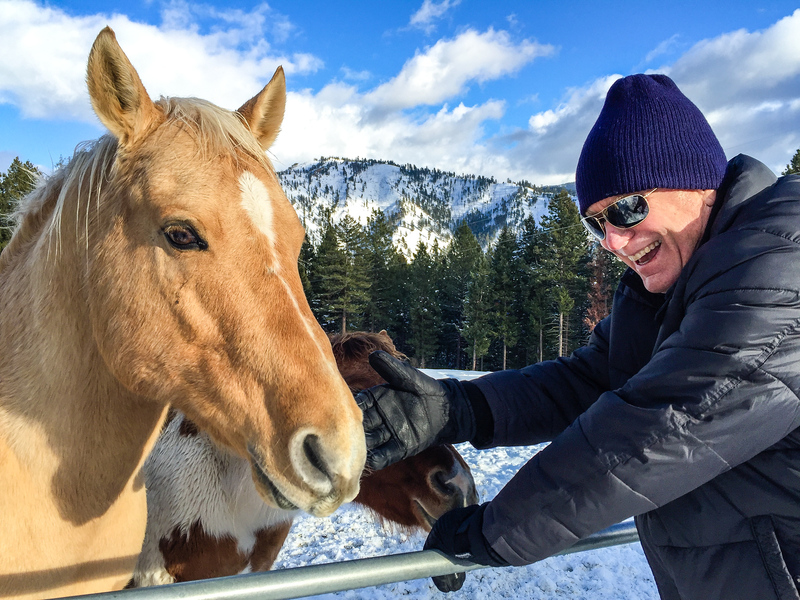 Alan bonds with the horses on a beautiful winter day at Triple Creek Ranch. Go horseback riding in the snow. Triple Creek’s horse program is excellent and included in your rate. The experience starts at the Rider’s Roost, where you’ll watch a safety video before gearing up in chaps, gloves, duster coats and cowboy hats compliments of the ranch. From short rides for the novice to cross-country rides over at CB Ranch (Triple Creek’s sister property and working cattle outfit), horse enthusiasts will find a level to suit their needs. The hilly snowshoe trail is worth the view. Cross-country ski or snowshoe. 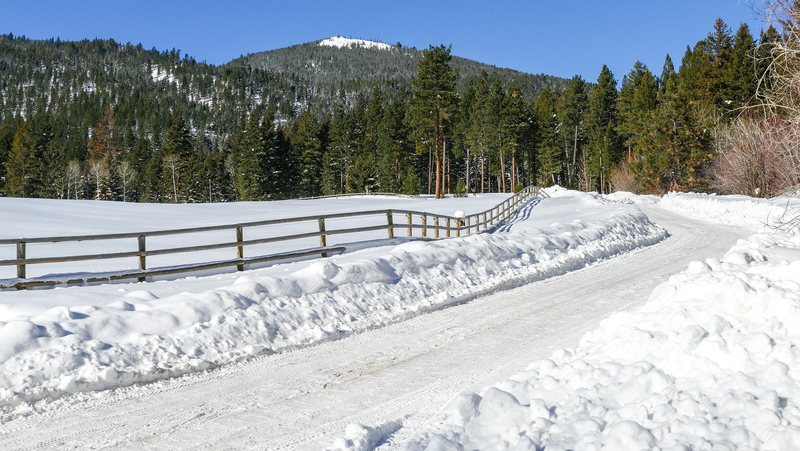 Enjoy staying active on Triple Creek’s ungroomed trails with snowshoes or cross-country skis provided by the ranch. Or schedule a 35-minute ride to Chief Joseph Pass to enjoy an outstanding selection of groomed trails. Want to spend the day? The ranch provides picnic lunches. And, of course, you’re greeted at the pickup point with a hot drink to enjoy on the scenic drive back to Triple Creek. Downhill ski or snowboard at Lost Trail Pass. Experience the almost daily fresh powder and empty lift lines at Lost Trail Pass Powder Mountain Ski Resort located a short 30-minute drive away. Triple Creek provides complimentary ski passes, ski and snowboard rentals, and the ride. If you haven’t skied the Northern Rockies, here’s your chance. Let a horse do the work. Do you know about skijoring? A mounted horse rider pulls skiers through Triple Creek’s forest trails and snowy meadows. Fun in the snow doesn’t get more western than this. 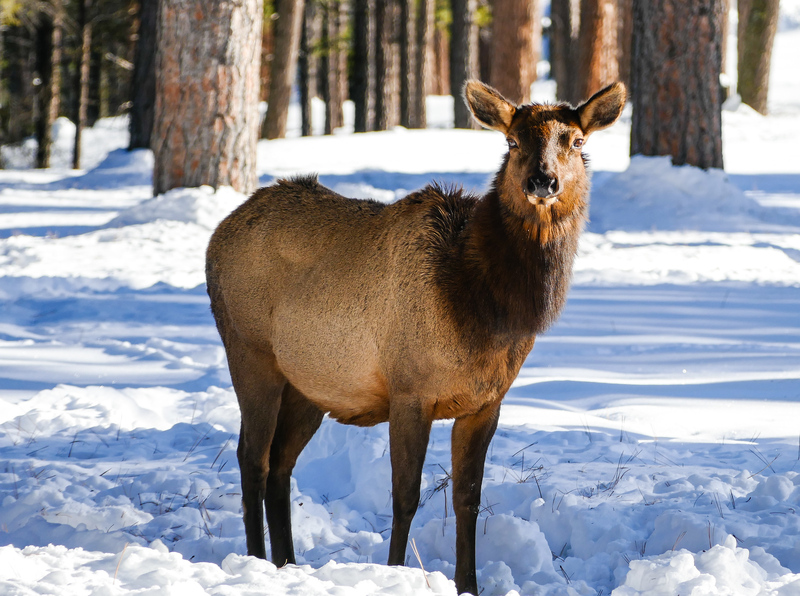 The resident elk herd watch you as much as you watch them. Other complimentary winter activities include ice fishing, snow tubing and wildlife watching safaris. If you’re looking for even more winter fun, a Triple Creek activities coordinator will arrange for dog sledding or snowmobiling. These aren’t included in the resort rate but what an unforgettable way to explore the adjacent Bitterroot National Forest lands along the Montana-Idaho border. Our spacious cabin included bedroom, living area, his and her bath with steam shower plus that all-important hot tub! 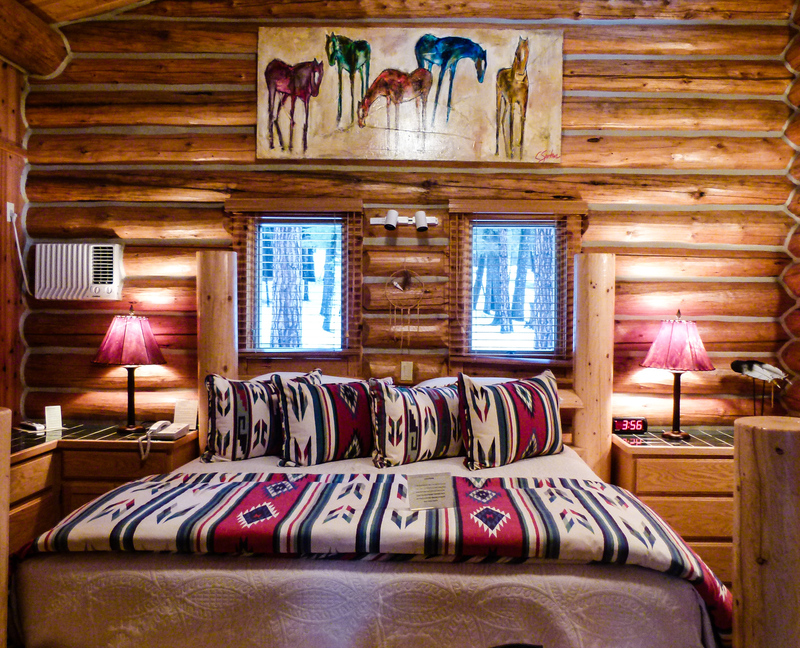 You’ll enjoy your own log cabin or home during a Triple Creek Ranch winter getaway. The staff thinks of everything, probably before you even know you need it. Alan and I appreciate lounging by the fire that’s already been built for us. All we have to do is strike the match. And soaking in the hot tub on the back deck of the cabin is pure magic. Western scenes inspire the decor and original art. Original Western Art decorates cabin walls. The curated collection is reassigned each year so Alan and I never know which painting in the cabin will become our favorite. Molton Brown toiletries in the bathroom add an extra touch of luxury. Plus you’ll find a lighted makeup mirror mounted on the wall—a plus for boomer women like me who need extra help to see close-up. Not all cabins include hot tubs—a few are shared with other cabins—so make your cabin selection carefully if a private soak is important to you. During stays where the snow has become icy, like most of the other guests, Alan and I call for a Triple Creek Ranch vehicle to transport us up to the lodge for meals. It’s another of the personal touches that we appreciate. 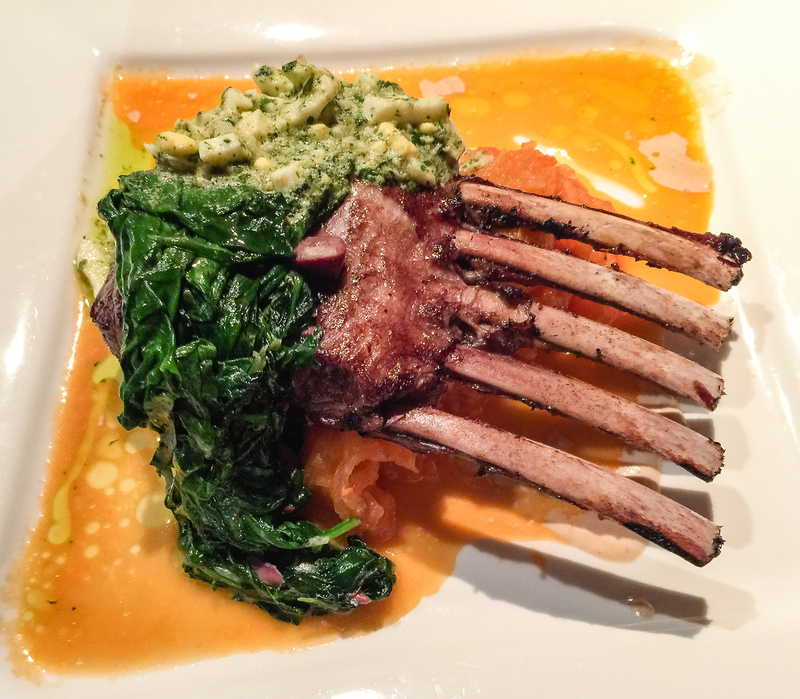 Triple Creek Ranch has attracted talented chefs, resulting in outstanding food and service. This isn’t an easy task for a luxury property located in an off-the-beaten-path Montana location. Of course wine, beer and alcoholic beverages are included, as one would expect in an all-inclusive luxury resort. Visit the Rooftop lounge before dinner to enjoy a glass of wine by the fire or grab a Montana handcrafted beer to sit on the couch in the living room area of the lounge where a Stave puzzle is waiting to be solved. Are you familiar with Stave puzzles? Man, they are hard! In the winter, the vintner weekends are very popular. Or pick a time when cooking classes are the focus. I learned to bake an apple pie at a Triple Creek Ranch Thanksgiving weekend. And about that food, don’t leave the ranch without sampling bacon-cheddar pancakes prepared by Chef Nick. Alan and I appreciate that lunch is offered on the day of our arrival. The staff also supplies guests with a packed lunch for their flight or drive home. See what I mean about outstanding personal service? Triple Creek Ranch Christmas holidays are magical. 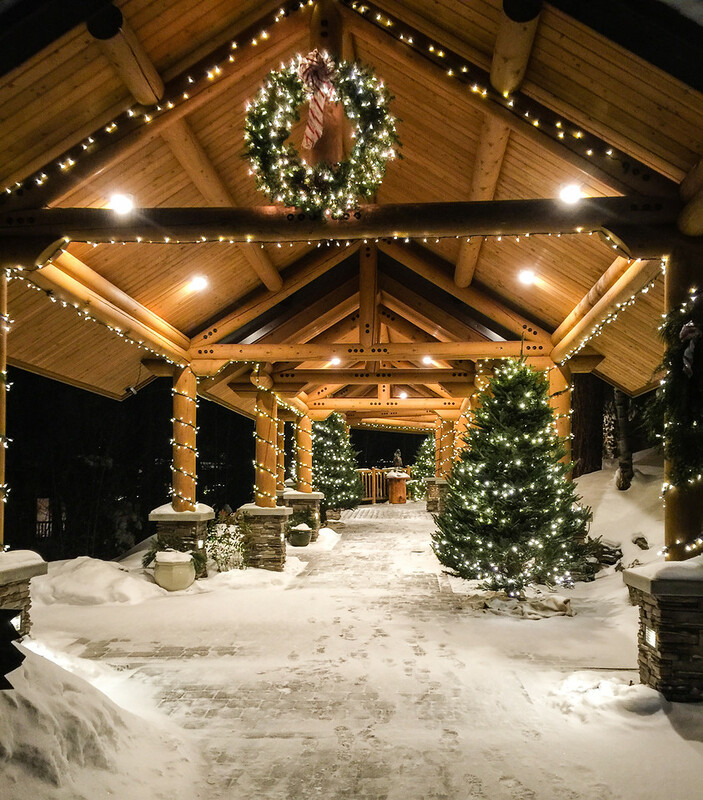 From Thanksgiving to Christmas to New Year, holidays are extra special at Triple Creek. You can usually count on snow plus a festive atmosphere to light up the holiday. Visitors during Christmas will find decorated trees in their cabins. Or, for that extra touch of home, ship your ornaments ahead to decorate the tree yourself or ask the staff to do it for you. We’ve experienced two Thanksgiving holidays and two New Year’s Eve celebrations at Triple Creek. The relationship started with a sponsored invite to write about a Triple Creek Thanksgiving getaway. Alan and I enjoyed the experience so much that we’ve chosen to become paying guests—three holidays under our belt with more to come. In all cases, the staff goes overboard to create a festive occasion that includes a variety of activities. You’re sure to find something that appeals to you. The look of surprise is because I won the archery contest. 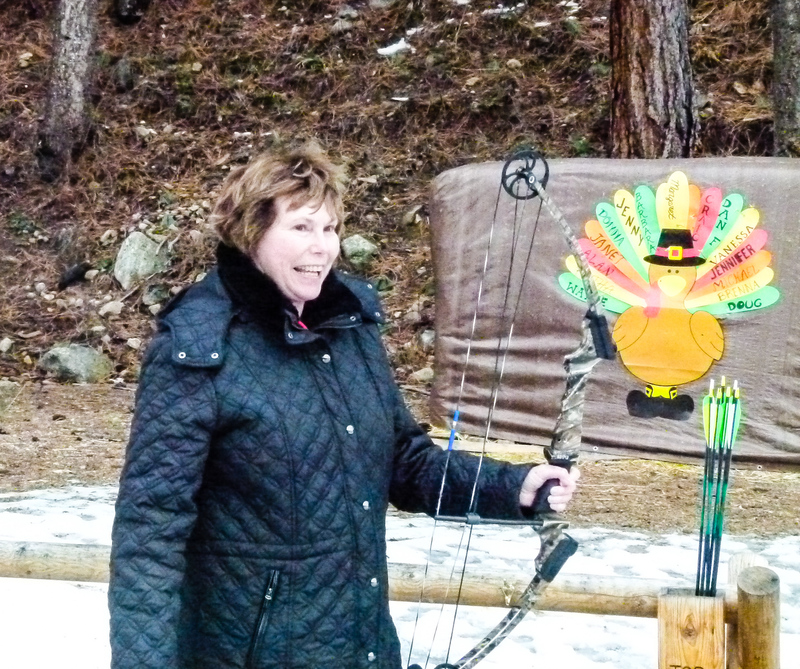 I won the archery competition one Thanksgiving. Who knew I could actually hit the target? Alan enjoys his fill of horses on every holiday visit. That man loves horses. A ranch-wide scavenger hunt one Thanksgiving turned on everyone’s competitive juices. Yay! Our team won. Standing on the deck of Craig and Barbara Barrett‘s home (owners of Triple Creek Ranch) to watch midnight fireworks on a cold, snowy New Year’s Eve is truly special. 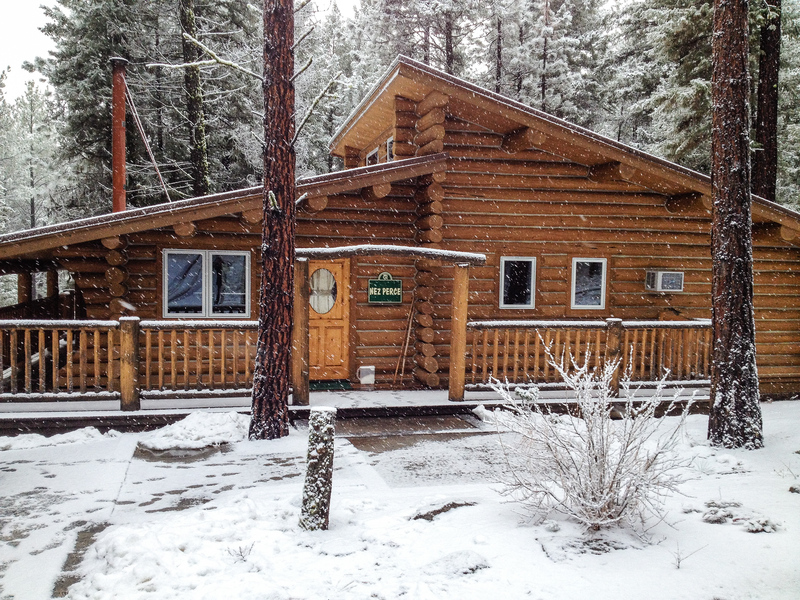 A Triple Creek Ranch winter getaway is my idea of a luxury cruise on land. Just like on a luxury cruise, the staff learns your name, likes and dislikes. And you’ll meet like-minded travelers, many of whom are repeat guests. The crowd is also decidedly adult—guests under the age of 16 are not allowed. Thinking about reserving a stay for a Triple Creek Ranch winter getaway? Start here. Pardon all the gushing but there’s not one thing that I haven’t enjoyed on a Triple Creek winter getaway. You’ll have to visit to see for yourself. 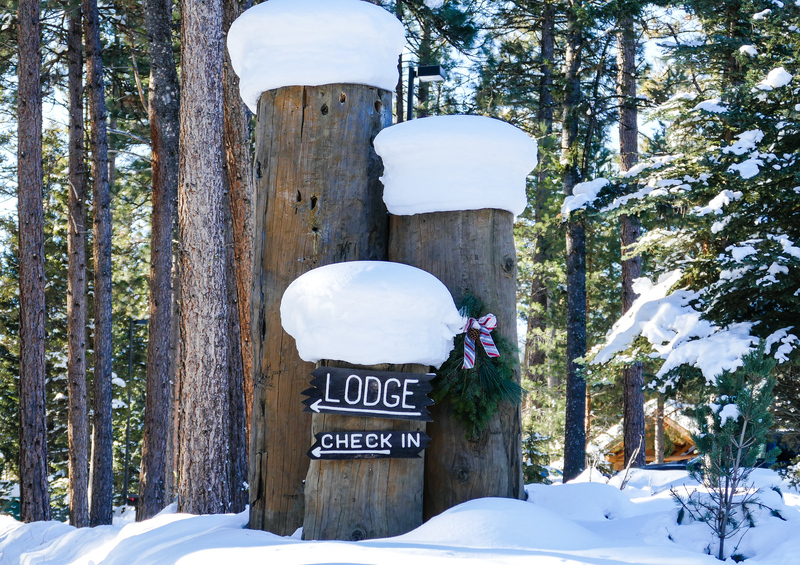 Have you experienced a Triple Creek Ranch winter getaway? Come join the conversation at the My Itchy Travel Feet page on Facebook. Or send us an email with your thoughts.